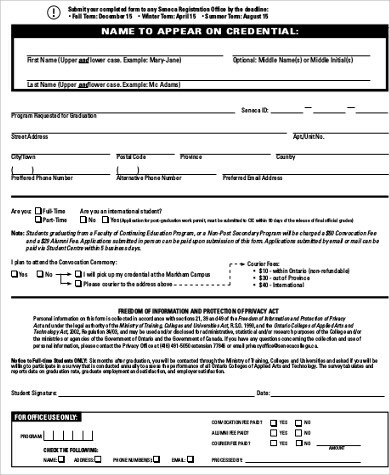 The applicants are required to fill out forms in order to gauge if they are qualified to be admitted to the school. 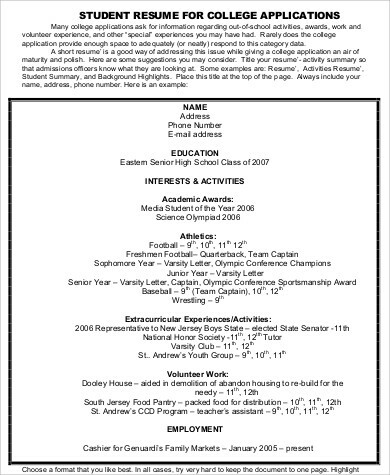 We feature 9+ sample college applications that can be downloaded in PDF format. 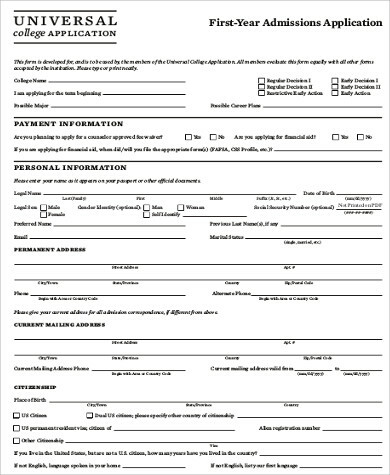 Having these forms are handy for when it’s the season for applying to colleges. 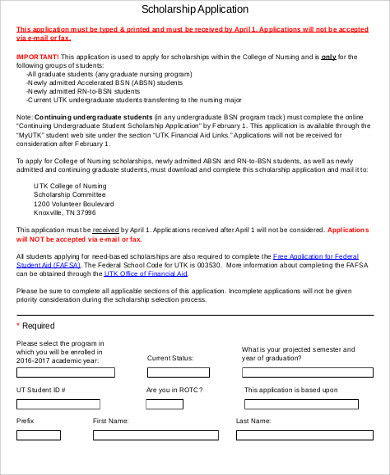 You may also be interested in Application Letters. If you’re a student applying for college, it might be a little nerve wracking. Some people have spent their whole lives dreaming of the universities they will attend and what they would major in. There are people who worked hard their whole childhood and teenage years for their dream university. Sometimes, the contents of your application form could make all the difference between finally getting the school of your dreams or having it remain a dream. 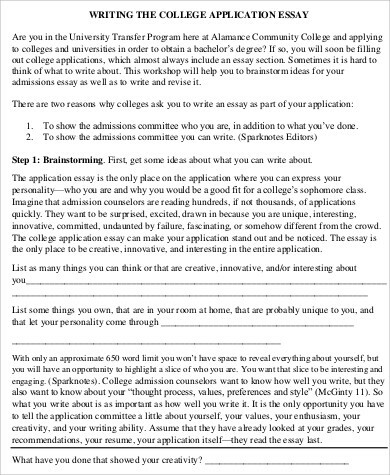 Read on for tips on how to fill out a college application letter. In the meantime, also check out the complementary College Application Letter to go with it and Blank Job Applications to practice on. 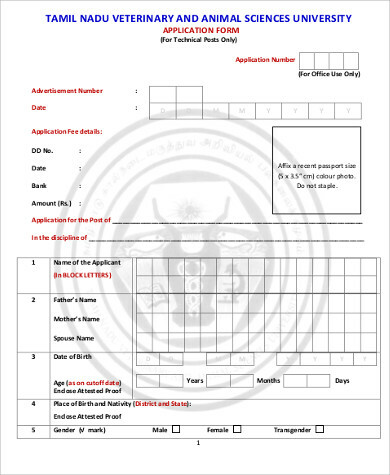 Before you fill out the actual application form, you might want to consider photocopying it first and practice filling out the photocopy. Remember to write legibly in the actual form and as much as possible, avoid erasures. Be very careful of spelling mistakes. 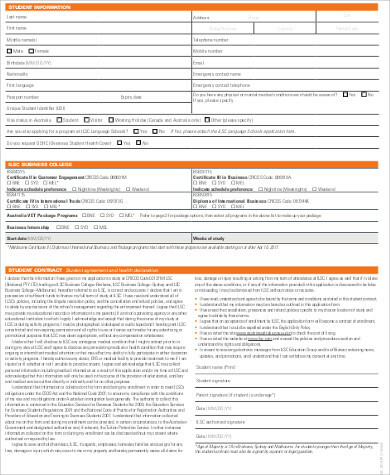 Before writing anything on the forms, read all the directions and know what information are being asked for. 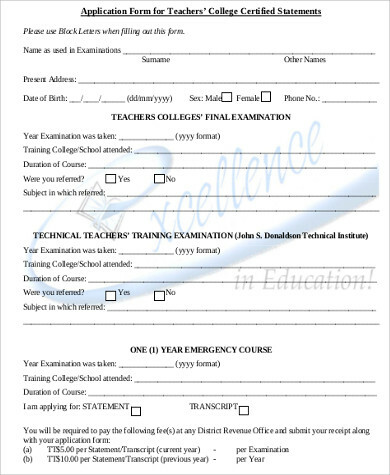 Gather all information that you need before you begin filling out the form. 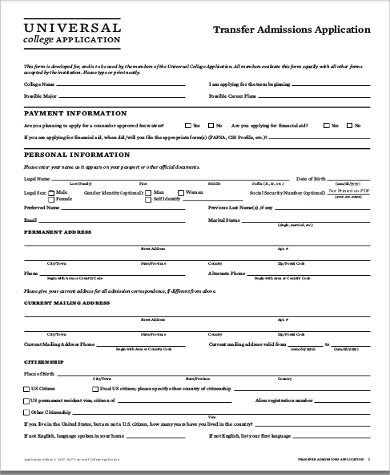 When you’re ready, fill out all the basic information such as your name, date of birth, address, and other contact information. Fill out your academic information next. Write down the name of your school, its location, and contact information. Unless otherwise instructed, work in reverse chronological order. If they ask you to, also write down what your intended major is. If you still have not decided, write down what major you are most considering or consider your academic track record and put in a major that is related to your highest grade. In the section for it, list down all your achievements and extracurricular activities in reverse chronological order. Do not leave this section blank. Sell yourself! Request for your letters of recommendations early. A month might be sufficient, but even earlier would be better. Some schools would ask you to send these in with your application while others would require that it be sent by the teacher. Read the instructions. College is an awesome experience that teaches you the realities of life while you are still kept sheltered. Be prepared for when it’s over and you have to live in the real world by knowing how to fill out job applications through these Printable Job Application Forms.